Top 10 Classic Movies (pre-1960) you shouldn't miss! I was inspired to write this post when for a 100th time I was asked how could I manage to watch slow and or black & white movies. And what classic movies should one watch so that he/she doesn't fall asleep during the movie and develop a distaste for the oldies . I have compiled here a list of my most favorite classic movies made before 1960 along a short synopsis and reason why I loved the movie. I am sure if you are able to find these movies and finish them, you'll start loving the classics. A warning though: Once you get used to watching the classics, it hard to get you out of their world. Proceed with caution! Adapted from a teleplay of the same name by Reginald Rose, this court room drama has inspired countless remakes in countless other languages. 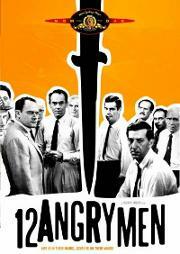 12 Angry Men, tells the story of a jury made up of 12 men as they deliberate the guilt or innocence of a defendant on the basis of reasonable doubt.Except for the opening titles and a few other scenes, the whole movie is set inside a room in a court. The viewers are always engaged and on the edge of their seats as the 12 men discuss and debate the innocence or guiltyness of the defendant. I really loved the way the movie keeps the viewers interested and glued to their seats even though all it consists is 12 people discussing and debating, nothing else. Some like it hot is the ultimate comedy from one of the greatest film director ever- Billy Wilder. 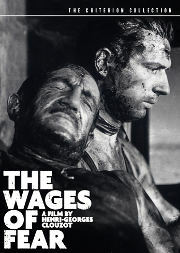 Two struggling musicians witness a massacre and try to find a way out of the city before they are found and killed by the mob. The only job that will pay their way is an all girl band so the two dress up as women. In addition to hiding, each has his own problems; One falls for another band member but can't tell her his gender, and the other has a rich suitor who will not take "No," for an answer. American Film Institute has named it the greatest comedy of all time. Thirty minutes into the movie and you'll be laughing till your stomach hurts. Need I say more? "I've Always Depended On The Kindness Of Strangers." I found this famous quote from the movie very hard to get out of my mind. 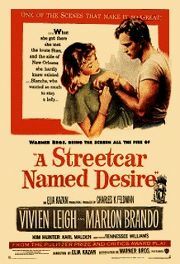 Based on a immensely famous play of the same name by Tenessesse Williams, this was the movie that launched Maron Brando career into stardom. Blanche Dubois goes to visit her pregnant sister and husband Stanley in New Orleans. Stanley doesn't like her, and starts pushing her for information on some property he knows was left to the sisters. He discovers she has mortgaged the place and spent all the money, and wants to find out all he can about her. Even more friction develops between the two while they are in the apartment together... A simple story but legendary acting by every actor in the story is what makes this movie unforgettable for me. As I list the third Billy Wilder movie in my list, I am realizing how brilliant and versatile Mr. Wilder was. He surely is one of the greatest directors of all time. 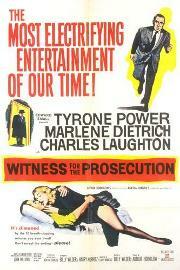 This movie of his made me fall in love with the "film-noir" genre of movies. This is such a great film on so many levels I can't really settle on where to begin. Let's begin with a plot summary. An unsuccessful screenwriter is drawn into the fantasy world of a silent-era movie star (played by Gloria Swanson) who refuses to believe that her days in the silver screen are over and dreams of making a triumphant return to the screen. She lives with only her butler, Max who was once her director and husband in an old mansion at Sunset Blvd. After meeting the screenwriter, she begins a relationship with him which results in various complications. Gloria Swanson's acting in the movie is considered one of the greatest performance in the screen ever. I totally agree with that! If Charlie Chaplin is the only image that conjures up in your mind when you hear the term "silent comedies", then you are in for a treat with Buster Keaton's The General. Not only will this silent comedy keep you laughing uncontollably till the end, it will provide a refreshing look at silent comedies. Buster Keaton who not only directed the movie but also plays the main character in the movie is absolutely amazing. While funny, Keaton is much more than just a clownish figure – he manages to evoke a lot of sympathy as well, and he genuinely becomes what can only be described as an action hero as well. His timing, whether for a joke or for a tender moment, is absolutely impeccable. You can be sure of one thing after watching the movie, it's not possible to make movies such as this anymore and there is more to silent comedies than Charlie Chaplin. Plot Summary: Johnnie loves his train ("The General") and Annabelle Lee. When the Civil War begins he is turned down for service because he's more valuable as an engineer. Annabelle thinks it's because he's a coward. Union spies capture The General with Annabelle on board. Johnny must rescue both of his loves. Very few thrillers have glued me to the seat as much as this Freach thriller by Henri-Georges Clouzot. Four European adventurers who are stuck nearly penniless in a festering town in an unnamed South American country agree to drive a load of highly dangerous and explosive nitroglycerin to be delivered to a remote well fire 300 miles away burning out of control. The route is through jungles and over crude and treacherous mountains and those men are desperate enough to take the chance. None of these men is heroic or generous, they are in for the money. Their long, harrowing ride over bad roads with their cargo ready to explode at every jolt and jar; the drivers are gambling with their very lives against the opportunity to escape from their steaming, sordid environment.Every possible jolt brings the viewers' hearts to their throats. I am sure these four characters will remain etched in your mind for a long time after the movie. 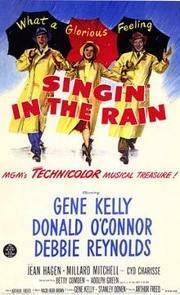 Until I watched Singin' In The Rain, I had never thought a musical would be so fun to watch.I didn't like musicals. They never made any sense to me. This movie changed my perceptions totally. "Singin' in the Rain" is one of the best musicals of all times. Even today it's so fun to watch. Although it was not a big hit when first released, it was accorded its legendary status by contemporary critics. Plot Summary: In 1927, Don Lockwood and Lina Lamont are a famous on-screen romantic pair. Lina, however, mistakes the on-screen romance for real love. Don has worked hard to get where he is today, with his former partner Cosmo. When Don and Lina's latest film is transformed into a musical, Don has the perfect voice for the songs. But Lina - well, even with the best efforts of a diction coach, they still decide to dub over her voice. Kathy Selden is brought in, an aspiring actress, and while she is working on the movie, Don falls in love with her. Will Kathy continue to "aspire", or will she get the break she deserves ? Of course, any list of best classic movies would be incomplete without at least one movie by the legendary director Alfred Hitchcock. I have watched and loved almost every one of his movies but none surpasses the perfectness of this 1959 thriller about a New York advertising executive who is mistaken for a government agent by a group of foreign spies, and is pursued across the country while he looks for a way to survive and figure out the mystery. 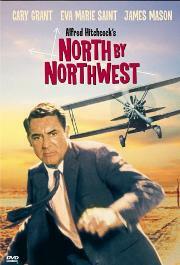 North By Northwest never lets you leave your seat even when you are dying to answer nature's call. I watched this movie twice. Both of the times, it reminded me what a perfect movie should be like and how it takes a legend to make a movie this unforgettable.A feast for a spy-thriller lovers like me! So what do you think about this list? What are your favorite classic movies?